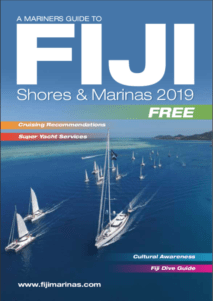 Nestled in the shadow of Ovalau and just 12 nautical miles from Bau Landing, lies a majestic coral island formed thousands of years ago, on a reef fringing the Motoriki channel with waters diversely rich in marine life. 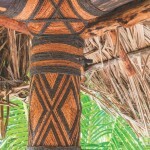 Leleuvia lies in the Lomaiviti Group that is the heart of Fiji where the Nation came into being. 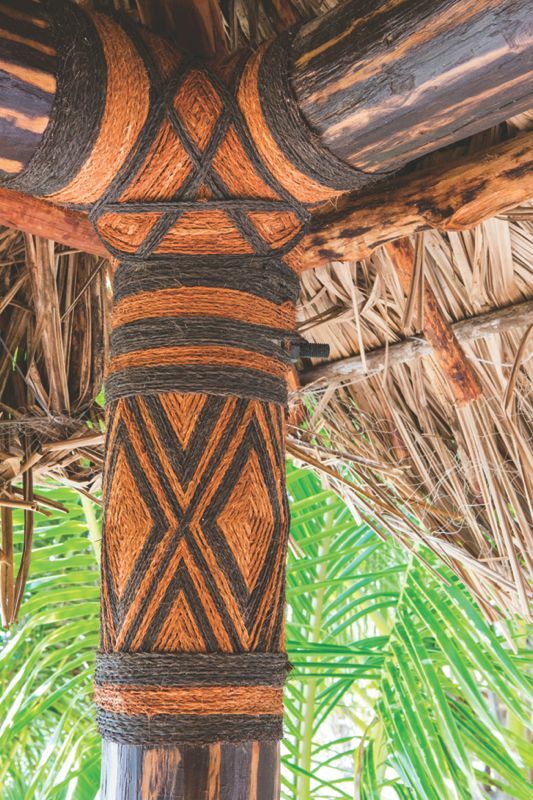 Historic Ovalau was home to Fiji’s earliest European Settlement in the town of Levuka; the country’s first capital. The Moturiki Passage that takes you into Leleuvia is a whopping 2.5 kilometers across, and while unmarked it is easily visible during the day. Leleuvia Island Resort began a comprehensive upgrade program in April 2012 to repair and rebuild damage by recent cyclones. 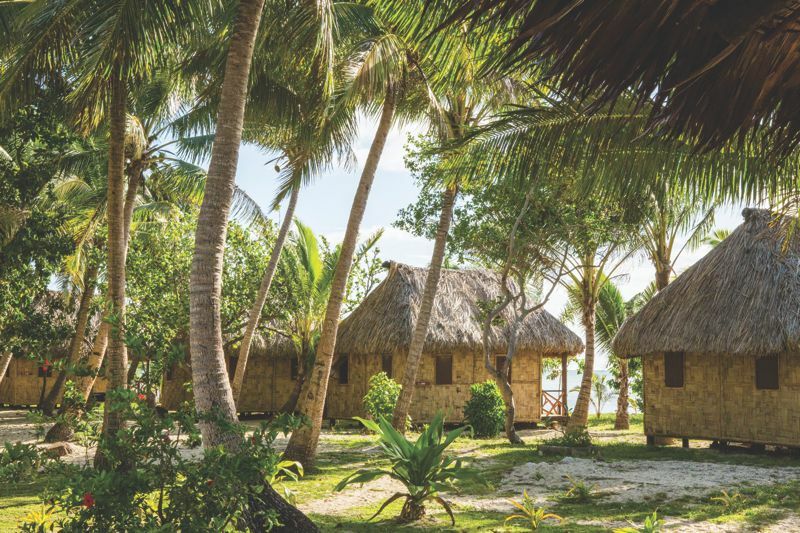 Sixteen new bure’s have been built in addition to a central facility boasting an amazing thatched roof structure that is over 100 metres long! It houses a new kitchen, bar, restaurant and boutique. 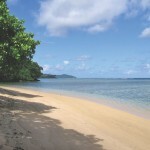 With its golden sand beaches, you could be forgiven for thinking you were in the Yasawa’s and yet Leleuvia is unique in the way that only Leleuvia can be. It sits just outside the Nausori-Suva rain belt and therefore enjoys an abundance of sunshine. The surrounding reefs are fed from major ocean currents and upwelling from deep sea passages with strong currents that calm the inside reefs. This forms the perfect habitat for large schooling fish like tuna, barracuda, trevally, snapper, black tip reef sharks, hammerheads, manta rays and turtles as well as whales and dolphins. Hawksbill turtles nest on Leleuvia and neighbouring Caqalai island from November to February each year. Leleuvia works closely with the Fisheries Department to protect this threatened species from extinction. 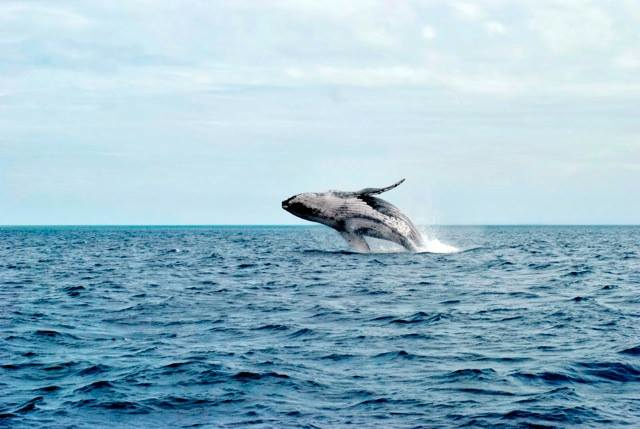 From mid August each year, humpback whales pass close to Leleuvia heading along the fringing reef of Ovalau as they travel North to breed and calve after feeding in Antarctica from November to April. There are regular sightings of spinner dolphins with occasional sightings of minke whales and sperm whales . 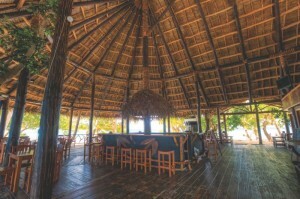 In August the island hosted 45 Hobie Cat sailors and officials for the 2012 Fiji Hobie Challenge. 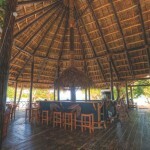 The event was last held at Leleuvia in 2008 and many of the returning sailors were amazed at the transformation of the resort. Earlier in July, Leleuvia played host to the Te Mana O Te Moana fleet of seven voyaging canoes and put on a huge feast for over 150 voyagers. Levuka welcomed the voyagers’ to Fiji in style with a celebration fit for royalty with the chief guest being Fiji’s First Lady, Adi Koila Nailatikau. 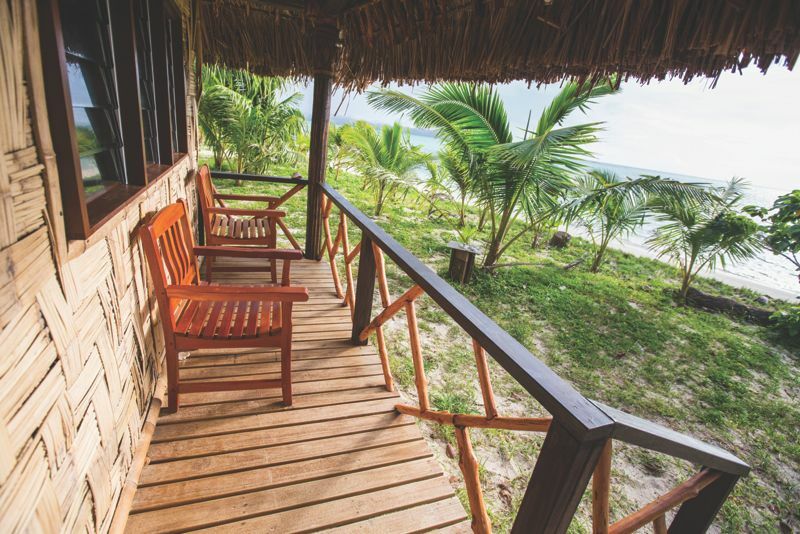 Leleuvia has a close association with Levuka and regularly takes guests to the historic town on day trips and shopping excursions. 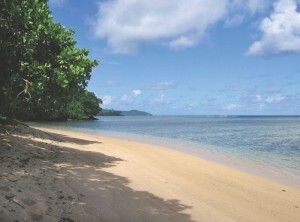 Expatriate couple Bart and Jitske were engaged on Leleuvia in 2011 and returned to the island four times in 2012. Resort Director, Dovi Kanaimawi says “we rely heavily on return business so it is important Leleuvia maintains it’s natural untouched image and does not become overdeveloped like other resorts that have had to raise their tariffs to keep up with expansion”. 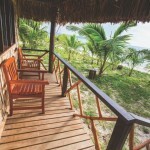 That is why a large part of the focus on Leleuvia’s upgrade has been on guest services. 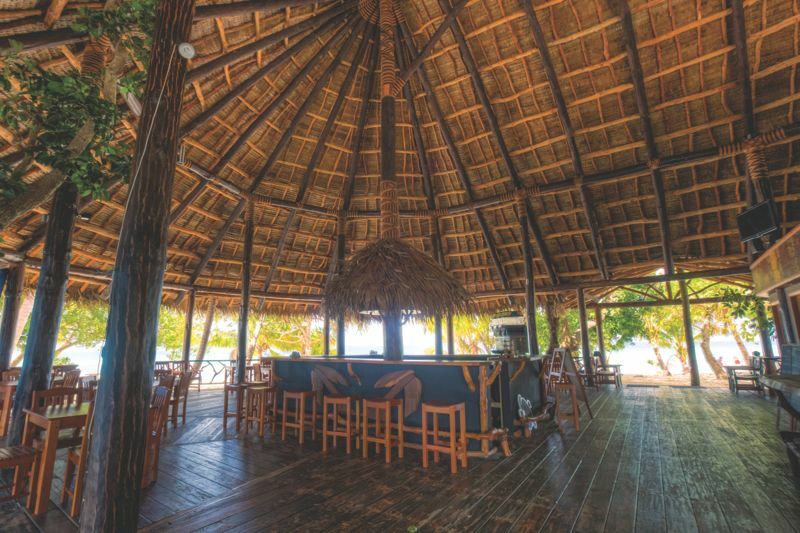 The Dive Shop has been restored to its former glory with entirely new equipment managed by one of Fiji’s most experienced PADI Master Scuba Diver Trainer’s, Jone Uluiviti. Jone has family ties with the chiefly island of Bau and neighbouring islands of Motoriki and Nairai so he knows the area well. “With our new 28 foot boat we can access dive sites throughout most of Lomaiviti which gives us over 50 dive site options”, says Jone. Most of the islands of Lomaiviti are the peaks of deep sea volcano’s rising from 1000 to 3000 meters and remain relatively untouched in terms of tourism. 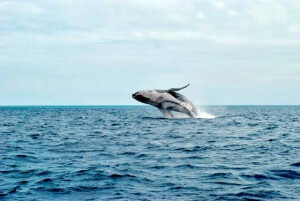 The area is the new frontier for divers visiting Fiji for year round, warm, tropical coral reef diving. If you are visiting for the first time or are a regular visitor to Fiji, Leleuvia and the surrounding islands of Lomaiviti are a refreshing change from the regular tourism hot spots in the west of the Fiji group. The daily bar ‘Happy Hour’ is from 5 to 7pm with the island specialty being Bounty Rum and Coconut. 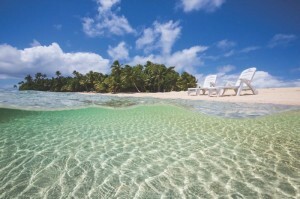 There is plenty of fresh water if you need a top up and Leleuvia offers free moorings right off the beach. To book: Phone: +679 8384 365 or email: col…@leleuvia.com.